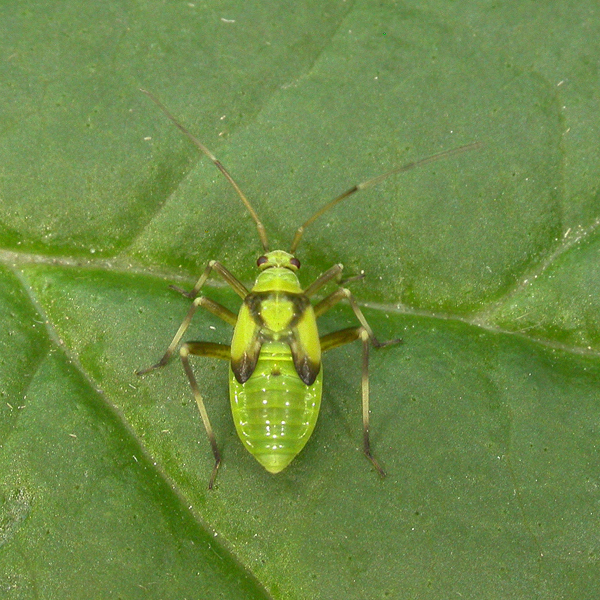 Length 9-11 mm. 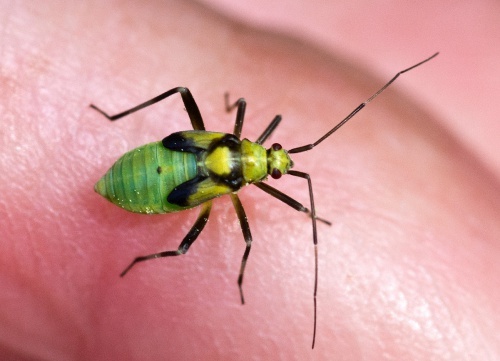 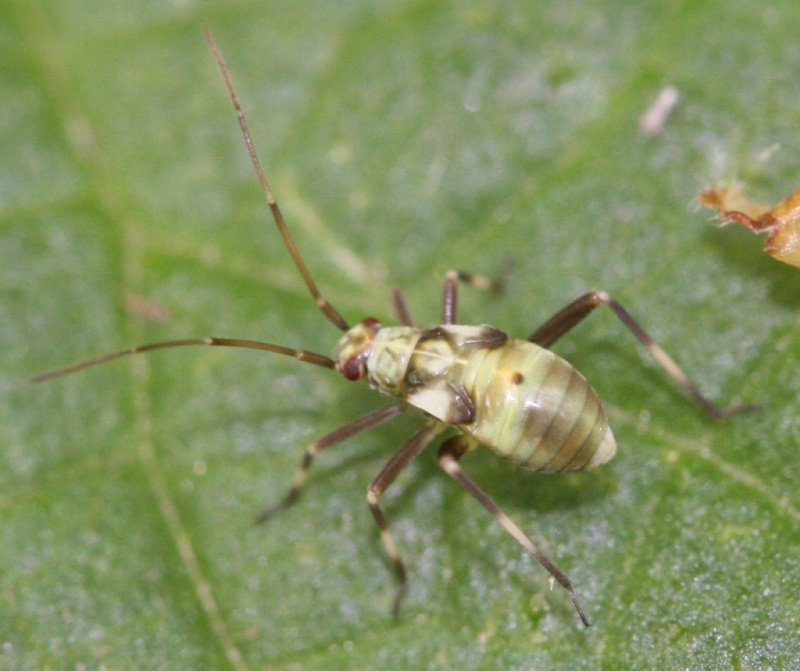 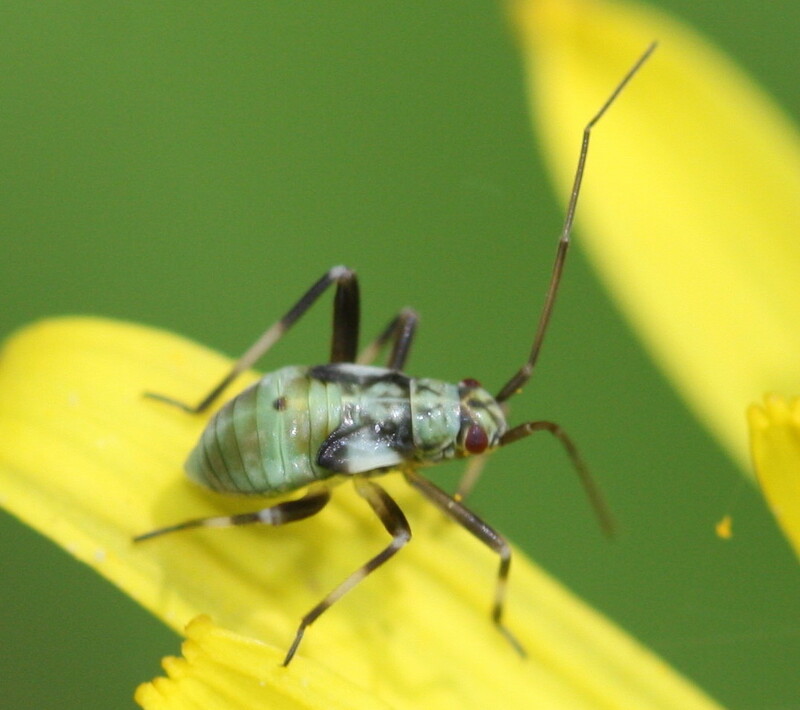 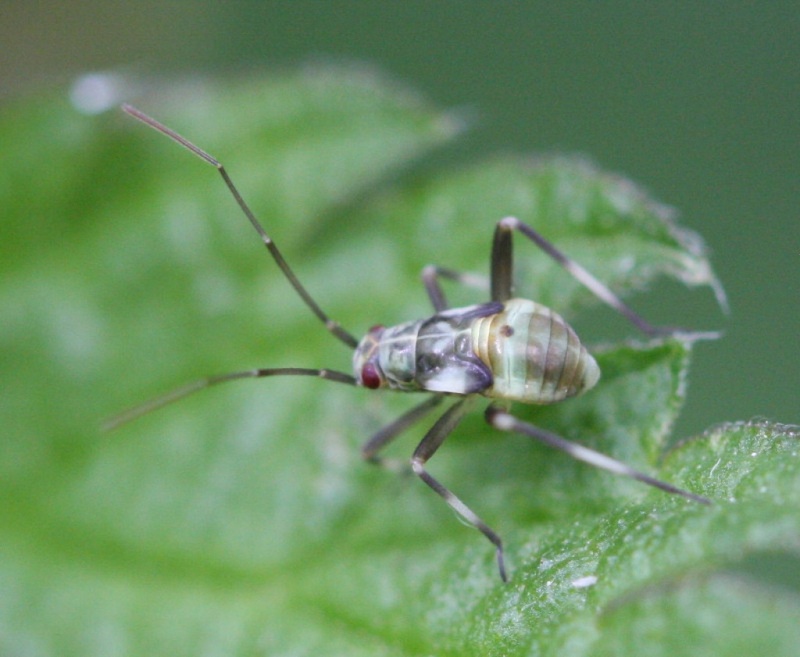 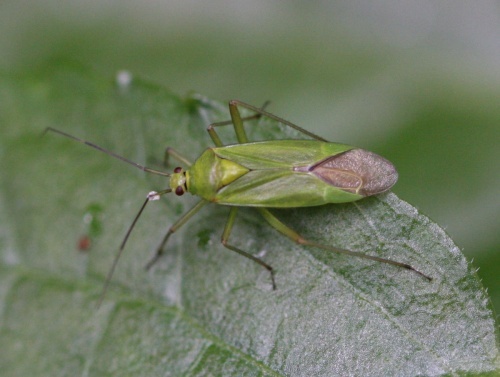 One of many entirely green plant bugs but distinctive due to its large size and very elongate shape. The 1st antennal segment is very long. 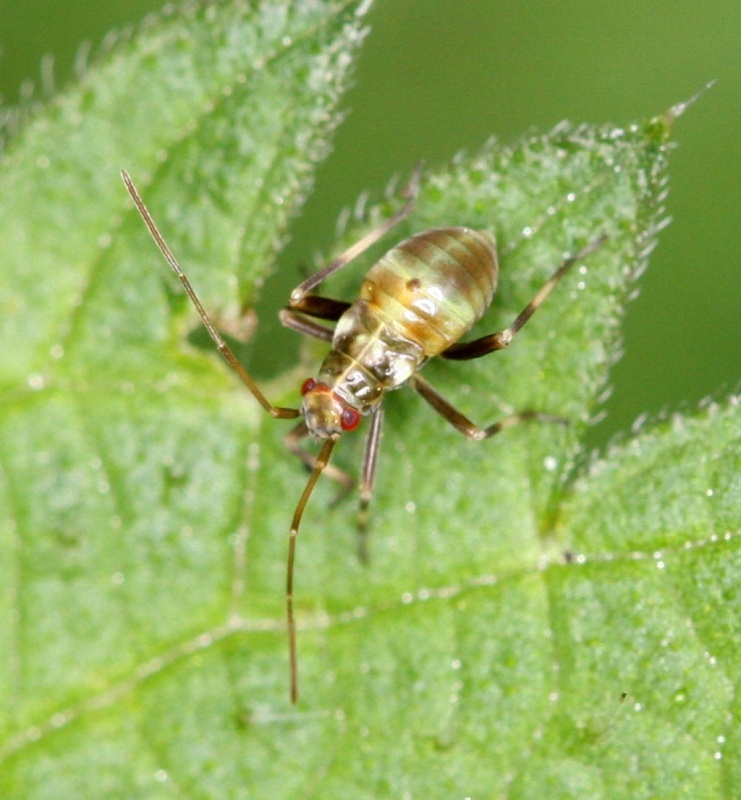 The base of the scutellum is sometimes narrowly dark, as is a thin collar behind the head. 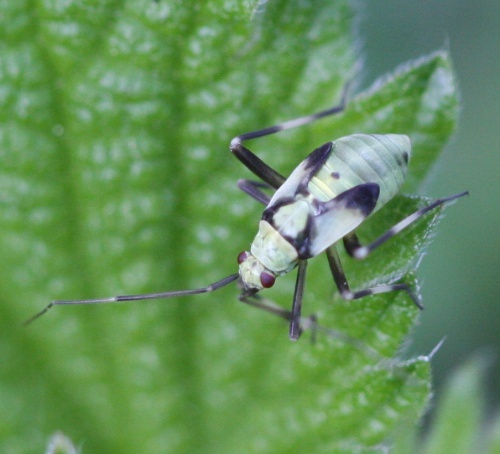 On Nettles, often in damp woodland. 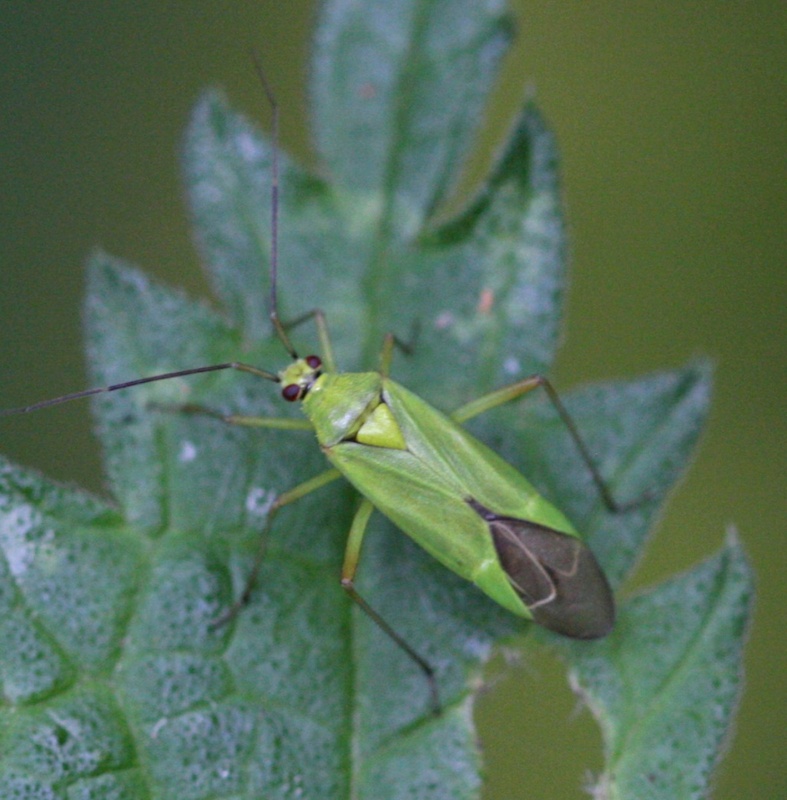 A local species, found in upland or northern areas (including hills in southern England).